Telugu is one of the five classical languages of India and it ranks third by number of speakers (74 million). Telugu is primarily spoken in the state of Andhra Pradesh. Significant minorities speak the language in Chhattisgarh, Karnatka, Odisha, Tamil Nadu, and in Puducherry. The religious beliefs of the Telegu people have been formed by many influences such as, Buddhism, Islam, Hinduism, Hindu-Islamic fusion traditions, and Hindu-Christian fusion traditions. There are about 1.2 billion in India. It is said there are over 30 million gods that are worshipped. What darkness! What hopelessness the great missionary, William Carey, must have felt when he first came to this land and yet by God’s grace and power he would have an impact that is still felt today. It seems Satan has unleashed relentless efforts to maintain his hold and keep these people in the depths of great darkness, a darkness that only the power of the gospel can penetrate. Even the college named after Carey has succumbed to the power of darkness. Today that once well established institution that brought the true light is now only a school of higher academics. 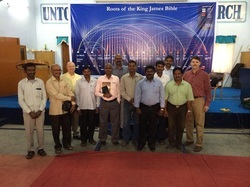 There is a great need for an accurate faithful Telugu Bible translation in the Received Text-KJV tradition. The TRTB Telugu Received Text Bible 2014 is a formal equivalent translation using as its text base, Scrivener's 1894 Greek NT, Hebrew Ben-Chayyim Masoretic Text, and the King James Bible. This work will be copyrighted but free for unlimited reproduction. 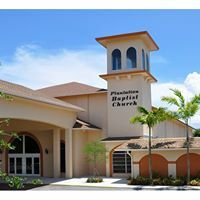 This translation began in 1995 and is being coordinated by missionary pastor Rufus Saripalli, but includes the active participation of national pastors and translating consultants. The translation team members have earned masters and doctorate degrees in Theology and have extensive studies in biblical languages and the target language, Telugu, as well as Hindi and Urdu and English. Everyone on the team speaks Telugu and English. The first edition of the New Testament was completed in 2002 and printed by Bearing Precious Seed of Milford, Ohio and distributed in 2003. The total copies printed were 35,000. Also at the time 100,000 John and Romans were printed. The Old Testament translation was started in 2005 and the projected finish date is 2014. At that time the whole Bible will be printed and ready for distribution. The projected date for the first printing of the whole Bible is 2015. At that time the New Testament will have gone through its 2nd edition. BPS Global provides translation consulting and printing of the entire Telugu Bible.